This year is the final season of HBO’s Game of Thrones. Of course, may of us will probably be unsure what to do in the weeks after the finale, but that is for another time. 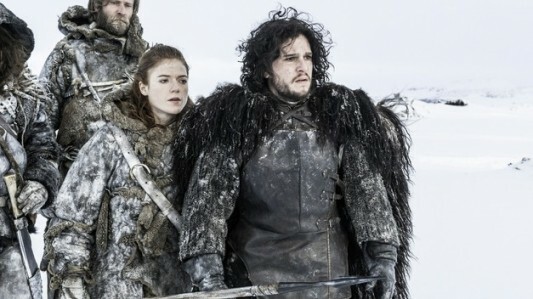 So as we prepare for the inevitable, let us take a look what what we can expect to see from the upcoming final season with a handful of new photos of Jon Snow (Kit Harington), Daenerys Targaryen (Emilia Clarke), Sansa Stark (Sophie Turner), Arya Stark (Maisie Williams), Varys (Conleth Hill), Tyrion Lannister (Peter Dinklage), Jamie Lannister (Nikolaj Coster-Waldau), Brienne of Tarth (Gwendoline Christie), Bran Stark (Isaac Hempstead Wright), Samwell Tarly (John Bradley West), Davos Seaworth (Liam Cunningham), and, of course, Cersei Lannister (Lena Headey). Check out these new images below. Conan is live at San Diego Comic-Con this week, and host Conan O’Brien‘s had my dream job with guest Chris Hardwick on Wednesday night, after a Mad Max intro and some loony Wolverine auditions. He also had a lot of swearing with the cast of The Hunger Games: Mockingjay Part 2 on Thursday night. Last night he got the pleasure of interviewing the cast of two of my favorite shows, Game Of Thrones and The Walking Dead. Watch both parts of the GoT interview below. Written and directed by Neil Marshall (The Descent), Dog Soldiers is a horror-thriller about a squad of six British Army soldiers dispatched to the Scottish Highlands on a training mission. Private Cooper (Kevin McKidd), Sergeant Harry G. Wells (Sean Pertwee), Private “Spoon” Witherspoon (Darren Morfitt), and their fellow compatriots encounter Captain Richard Ryan (Liam Cunningham) – the sole survivor of a Special Ops mission gone horribly wrong. Off-kilter and cryptic as all get-out, Captain Ryan refuses to disclose his top secret mission – or what slaughtered his men – to the group. Before the soldiers can get control of the situation, they’re attacked by stealthy assailants. Help comes in the form of Megan (Emma Cleasby), a zoologist who leads the remaining men to a deserted farmhouse in the wilderness. 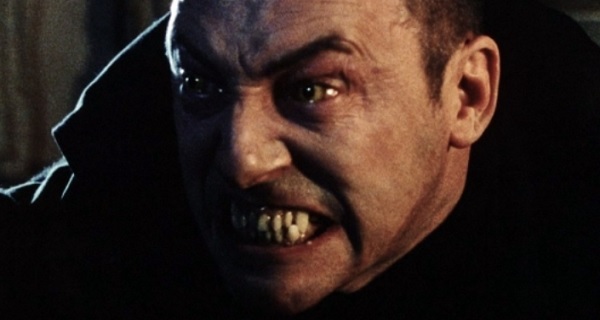 As darkness falls, the decrepit shelter is surrounded by their attackers – a pack of bloodthirsty werewolves. 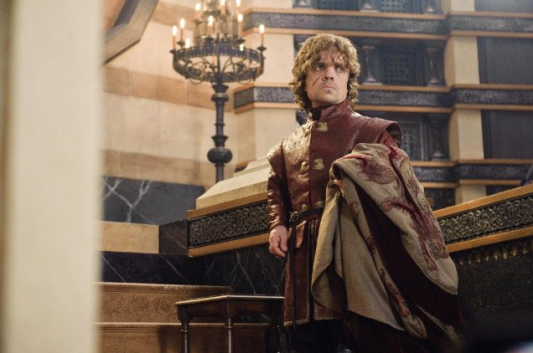 Another year has come and gone, and a new season of Game of Thrones is on the horizon—season five, to be specific, which will premiere on April 12th. 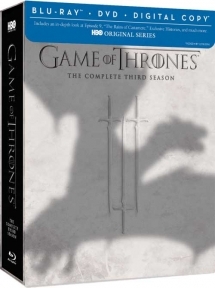 As always, HBO has released the previous season, season four, on Blu-ray and DVD just in time to help get us through these undeniably difficult final couple of months of waiting for the new season to arrive. 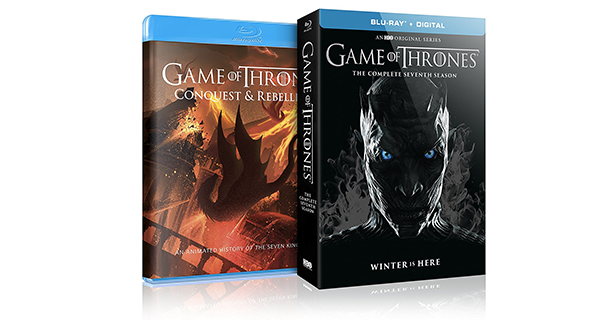 Once again we offer our review without any spoilers—in case you’ve not yet started or finished the latest season—and focus mainly on what fans of the show who are caught up want to know, which is what special features are included on the discs. If you’ve never seen the show at all, why on earth are you reading a review of season four instead of watching season one, episode one? Go now! It’s cold and dark and depressing outside as many of us fight through the dead of winter, but excitement is starting to build in the land of television as Game of Thrones begins to take over once again. It started with the first trailers and behind-the-scenes special for season four. It continues with the release of season three on Blu-ray today. And officially hits its full stride on April 6th with the start of the new season, as the show looks to continue its dominance over others as the best on TV today. The warmth of the sun is not far off now. For us anyway; we know what’s coming for Westeros. With one of the most shocking sequences of events in TV history setting the internet ablaze with reactions, memes aplenty, and much discussion, season three continued to set the bar extremely high and continued bringing new fans to the series with no signs of slowing down in sight. 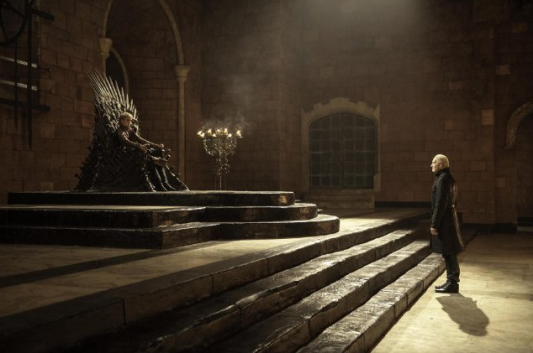 There’s normally a point each season that I reach with Game of Thrones, where one of the later episodes in the season becomes just too predictable or flat out boring. The latter certainly isn’t the case, as there are plenty of individually strong moments throughout the episode, but the sum of the parts doesn’t work to something I’m excited about. Which is sad, all things considered, because the strong parts in this episode are good. So let’s start with the good. 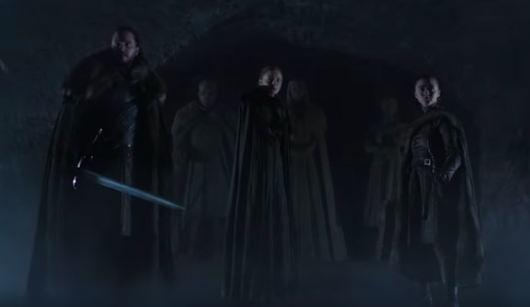 I find it rather fitting that the title of Game of Thrones‘ seventh episode focuses so much on a particular pairing, considering that the episode spends so much time on duos of characters instead of individual characters. “The Bear And The Maiden Fair” is a quieter affair, (scripted by George R.R. Martin and directed by the incredible Michelle MacLaren), that works as what will probably become the calm before the storm, leading into the final three episodes of this season. 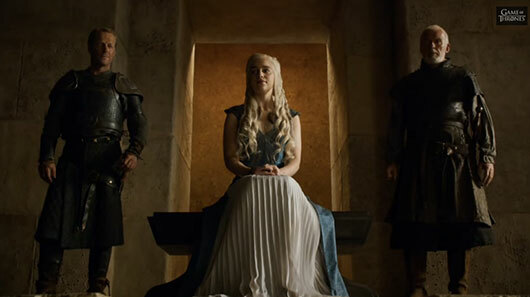 Littlefinger’s (Aidan Gillen) speech is a very much on the nose, as “The Climb,” the sixth episode of season 3 of Game Of Thrones, sees various characters trying to progress forward in some capacity, but the core of his speech – that often those who are provided opportunities normally only get one chance at something – rings true for many characters tonight.